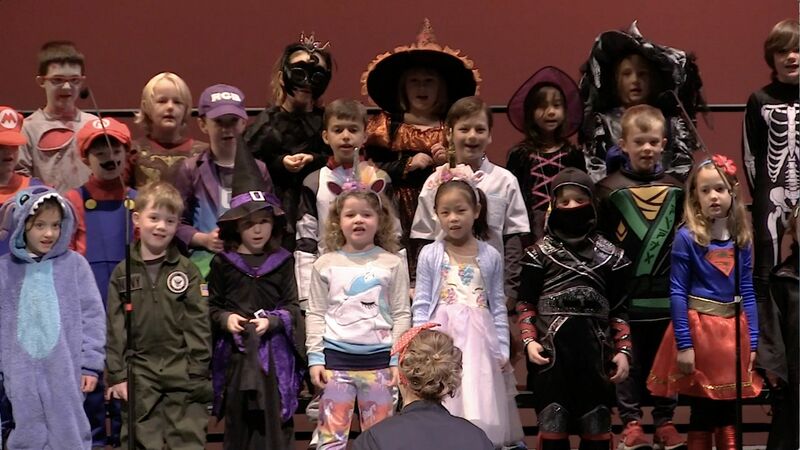 Students and faculty paraded around the Oval as parents cheered them on in Shore's annual Halloween Parade, which was followed by a seasonally-themed concert in the Trustey Family Theatre. Creative costumes ran the gamut from Incredibles to Sox and Pats, from dinosaurs to hippies. The late Mr. Rogers made an appearance, and even Head of School Ward got into the spirit of the day, convincing two colleagues to join a trio of Ghostbusters keeping a contingent of ninth grade ghosts at bay. Enjoy some of the many fun photos from the day. Enjoy the video of the concert, and see the gallery of photos below.